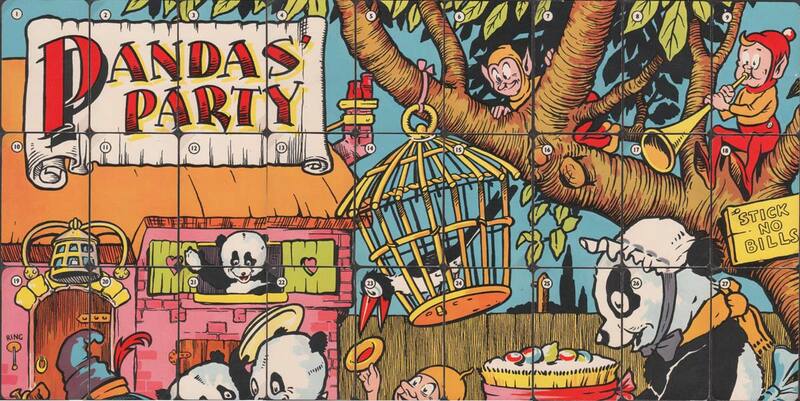 Panda’s Party, a 54-card jigsaw game, was issued anonymously in 1940 but obviously a Pepys game. 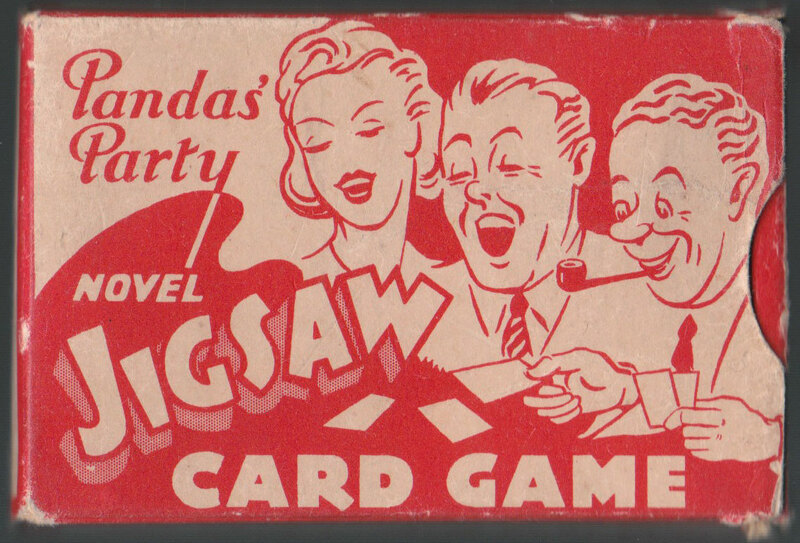 Small numbers at the top left of each card, which are matched to a key card placed on the table, assist in making up the picture. 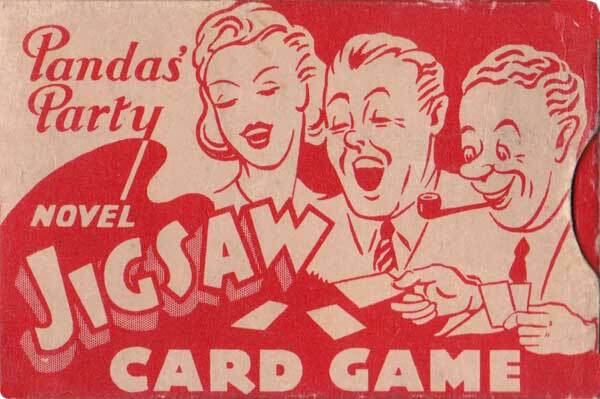 Above & Left: Panda’s Party published by Pepys Games, 1940. 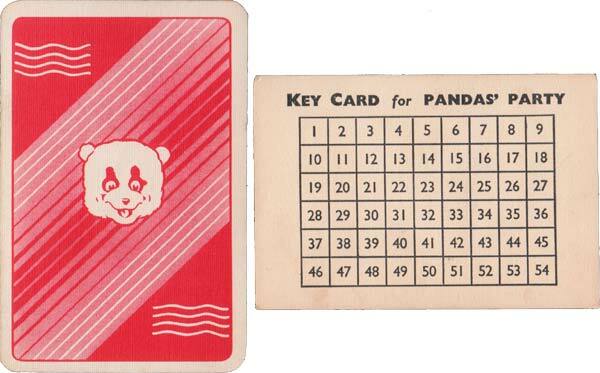 54 cards + 2 Key cards in box. From the collection of Rex Pitts.